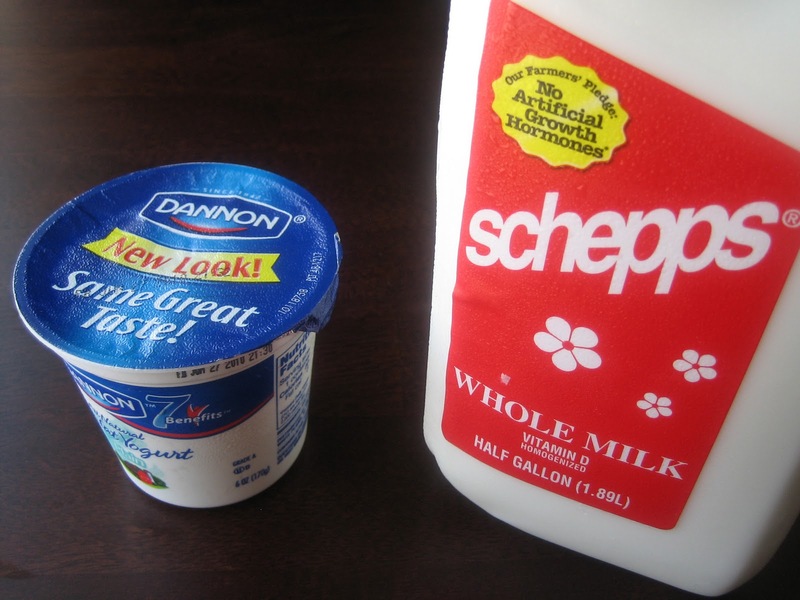 Lawyer Loves Lunch: Make Your Own Yogurt! While I was growing up, my mom was a stay-at-home mom. That meant that while my dad went to work and my brother and I went to school, my mother baked cakes, did mountains of laundry and sewed our Halloween costumes (because I was an insufferable child who just had to be a bumblebee princess). I don't think I've ever fully appreciated that or thanked her for it until now when I realize I may never get to play that role. Don't get me wrong. I like working. But it breaks my heart just a little to know that my (future) kids won't get to tell me about how they played handball or show me their arts n' crafts masterpieces as they sit at the kitchen table eating their after school snack. Because let's admit it. After school snacks were the best. There was something magical about eating cookies n' milk and pompously enlightening my younger brother about the worldly nature of the third grade while the sun streamed through the window. But the best afternoon snack, by far, was homemade yogurt with honey and crushed graham crackers. Yup, on top of it all, my mom made her own yogurt. It was like she foresaw the whole Pinkberry/Red Mango craze. I'm tellin' you, the woman is awesome! I am not nearly as awesome. I am of the school of pseudo-cooks that will never grow their own vegetables or make their own bread. Naturally, making my own yogurt clearly fell into that same category. I recognize that there has been influx of home cooks that raise their own chickens, ferment their own wine and make their own cheese. I respect that. I really do. But come Friday night, when I'm dragging my pathetic-looking self home, carrying my heels because they've given me no less than thirteen blisters on my aching feet and counting the seconds until I'm in my car and can unbutton the top button of my skirt because it's cutting off my circulation, making my own yogurt is the last thing on my mind. Until two Fridays ago when I came home lugging a giant jug of milk, only to find the hubster grinning proudly, holding a fresh jug. "I remembered to get the milk," he gleefully exclaimed. Awesome, I thought as I started at the two jugs. Would it be creepy to offer our neighbors a jug of milk? Probably, since their dog almost ate my ankles for lunch and their kid laughed maniacally the last time we met in the elevator. No milk for them! Call it immigrant child guilt or whatever but I hate wasting food. So, I did what any girl would do. Called my mom and got vague directions on how to make my own yogurt. I did a quick Google search to find some confirmation of her "heat this, mix that" directions but no luck. All the recipes used cheesecloth and last I checked, I didn't have any cloth made outta cheese. So I winged it. I nuked one and a half cups of milk in a two cup measuing cup in the microwave. I then started cleaning because our apartment was beginning to look like a frat house. Next thing I knew, I had a microwave full of boiling milk. Round two, I hovered around the microwave, absorbing the radiation and making sure the boiling milk didn't overflow. I then let it cool until it was warmish. Scooped off the milk skin. Mixed in two tablespoons of room temperature, readymade yogurt. Poured the entire concoction in a lidded Corningware bowl. Wrapped the bowl in a towel 'cause that's what some person on a yogurt forum online did and well, she sounded like she knew what she was doing. She didn't. A couple of hours later, when I was supposed to be staring at delicious, firm, homemade yogurt, I was instead staring at a milk soup with suspicious lumps. I tried again. I mean, it was only midnight by this time. This time, I heated the oven at the lowest temperature, turned off the oven and stuck the lidded bowl inside. Around 5 a.m., success! I pulled the bowl out and found myself staring at firm yogurt that was perfectly creamy and tart. To celebrate my success, I rewarded myself with fourth meal. Yogurt with honey and crushed graham crackers. I only wish my brother was around so I could regale him with tales of the third grade. The next morning, I treated myself to a breakfast of fresh yogurt, granola and mangos. A treat indeed, since my normal breakfast consists of coffee, a bag of Skittles and some mind-boggling work emails. And then, that same afternoon, I read about David Lebowitz's fruit n' yogurt pops. Equal parts fruit and yogurt, some sugar, some lemon juice and voila, a healthy'ish popsicle So, I hurried home and whipped up some popsicles. The hubster and I hovered around the freezer, waiting for them to freeze. As an aside, I would guess theses popsicles would also taste great in semi-frozen, slushy state. But that's just a guess. And that's how the hubster and I went through two jugs of milk in a week. And that's why we'll be buying two jugs of milk next week. Because watch out vegetable-growing, bread-making foodies. I'm making my own yogurt. Heat milk in microwave-safe vessel until boiling. Cool milk until it's warm to the touch. Remove the layer of milk skin that has developed. This is normal and should not freak you out. Mix approximately 1/2 cup of milk with the yogurt. Beat like you're scrambling eggs. Add the remaining milk to the milk-yogurt mixture and pour into an oven-safe bowl with lid. Heat oven to the lowest temperature (on mine, it's 170 degrees). Turn oven off and stick your milk-yogurt mixture inside. Wait impatiently for a few hours. The time will vary depending on how well your oven retains heat. Do not be concerned if you are waiting 6-7 hours. Check your yogurt. It should be firm with a layer of buttermilk'y water on top. Again, do not be concerned. You can either pour off the liquid or use it with your yogurt. 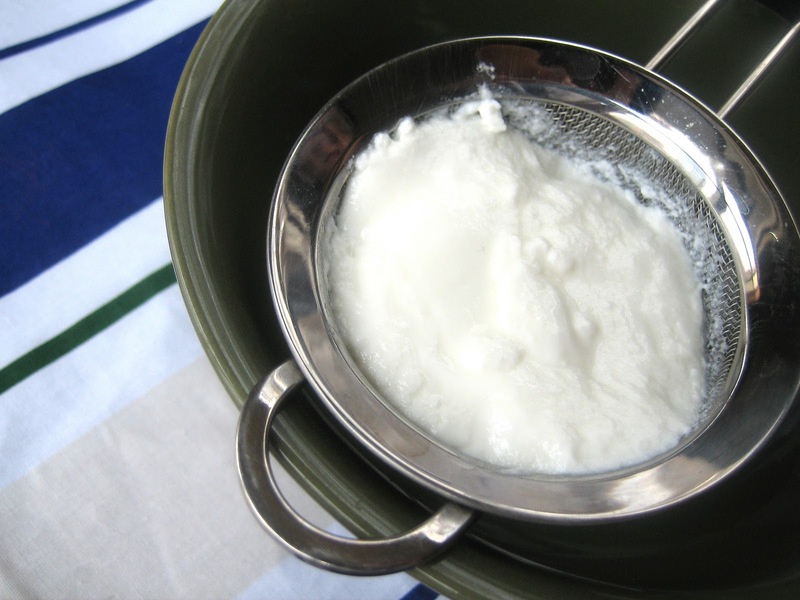 Make sure to save 2-3 tablespoons of your homemade yogurt for your next batch. And your next batch. And the batch after that. Ad delicious nauseam. Blend all ingredients, adding sugar and lemon juice to get the sweet-tart mix of your preference. I generally start with 1 tablespoon of sugar and add more as necessary, depending on the sweetness of the berries I'm using. I also start with a few generous squirts of lemon juice but that's because I LOVE that strawberry lemonade taste. You should start out with one or two squirts of lemon juice if you're weird and don't like strawberry lemonade. Pour into popsicle molds, or small plastic cups as I did. Place in freezer and wait impatiently. Since I used cups, I poked in candy sticks after freezing for about an hour. I could not post a comment fast enough! I love you! I was. Looking at books and machines the other day and decided to. Avoid the gadget buying. I've been dying to try making home made yogurt and cheese but had no idea where to start. Great post, I always adore your wit. After school snacks with mom were magical. Thanks for the walk down memory lane. Homemade yogurt is yummy, I've never made it but I've eaten lots of it :) Mau give this a try for the yogurt monster that I call my 4yr old. Also, kudos to you for making your own yogurt, and especially for staying up til the wee hours to do it. As much as I'm dedicated to homemade food, sleep will always take precedence. I am completely impressed with your dedication to the yogurt project. I would have been so discouraged after two failures that I'd have tossed the idea and eaten cold cereal for every meal until the milk was gone. 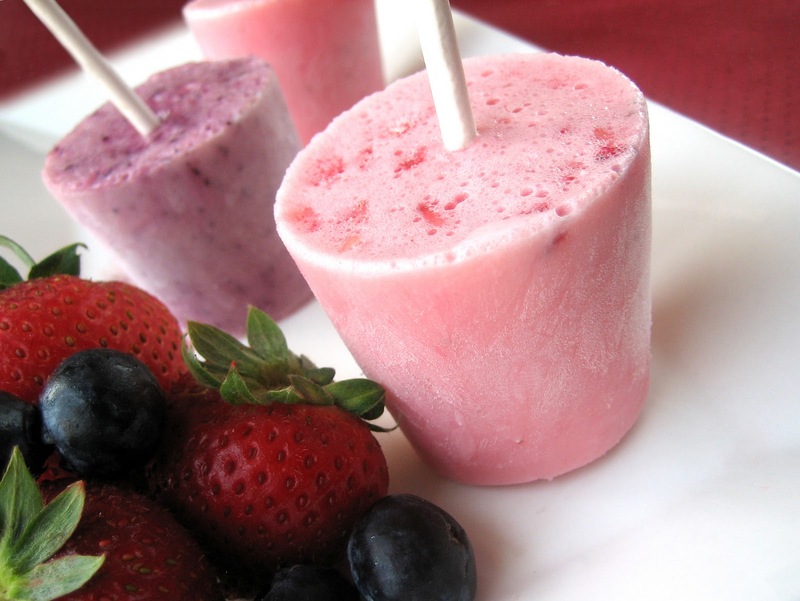 Your yogurt popsicles sound fabulous. wow...lovely presentation with awesome clicks...very tempting dear. Do drop in at my space sometime. So glad to see I wasn't the only one who had probs digging up a decent yogurt recipe online. Here I was thinking I'd forgotten how to use Da Innernets. ;-) I've had a couple of failed yogurt-making attempts myself, it pains me to say. Had better luck making my own cheese, believe it or not. Thank you so much for sharing this method. I'll def give it a go at some point. I want to be like your mom. I want to make Maya an afternoon snack of yogurt and graham crackers and chat about her day. But I am a. too lazy to make yogurt, b. I'm lactose intolerant, and c. I know Maya will say something like, I wish I could have Gogurt instead. And then I'll be MAD. I love reading your blog because as the daughter of an immigrant I can relate SO much! I want to hand my neighbor all of our extra food because I hate throwing anything away. Unfortunately she doesn't speak to us as she hates children so I stress about food wastage continually!! I am so very impressed, and it was fun to get a glimpse into your childhood. My mom also stayed at home, and although I treasure the time we had together, I know that I will want to continue to work while I raise our future children. I just started twittering, so I'm a bit confused. But I will attempt to follow you! Such a wonderful post and just the reasons why I left corporate America when my kids were born. You make me want to try my own yogurt! A bumblebee princess? That is too good. I second Belinda for the comment above. A bumblepee princess? That's so cute! I hate wasting food too! I know how you feel. Great use of a leftover milk. Your breakfast looked great. I can relate myself to your life as a cup of coffee and emails are my breakfast hehe. Those yogurt popsicles are too cute!! I'm impressed. Great post. You made me wanna make my own yogurt, it is really tempting. I love it! I have the same "can't waste food" mentality. Your yogurt looks fantastic. And those yogurt pops? To die for! Great post! I think you and your mom rock... I had no clue you could make your own yogurt. I am a working momma that also has a horrible commute and have found that the work life balance can work. You just have to prioritize and plan ahead. That said life is one crazy bowl of cherries... hopefully with your yogurt! :) Totally going to follow you on Twitter thanks for the link! They say persistency pays off, and by the looks of your yummy yogurt, it really paid off for you. that last picture has me drooling all over my keyboard. way to hang in there and not give up. although i'd have to admit, when i put stuff in the microwave and go clean, i usually forget about it until the next day i open up the microwave to heat up something. yes, i can say "absent minded". If it makes you feel any better, I had a stay-at-home mom who neither made yogurt or bread, nor sewed Halloween costumes. So your mom was one-of-a-kind in more ways than one. I think you'll make your own bread someday. It's only a matter of time...maybe when your husband comes home with two packages of instant yeast. The yogurt looks awesome! I haven't made my own yet...but someday. I may grow some vegetables and make my own bread, but I am not touching yogurt! I swear I'd end up like you did--and make it a few times until I got it right. That always happens to me--I screw up royally and waste the rest of my time and ingredients trying to get it perfect. Like my crepes today? ohhhh yeah my crepes are ugly messes that got fed to the dog. Us lawyers just have to push it and persevere, don't we? And those yogurt pops do look delicious! Your yogurt rocks! Cheers to you. I have yet to take on such a project. 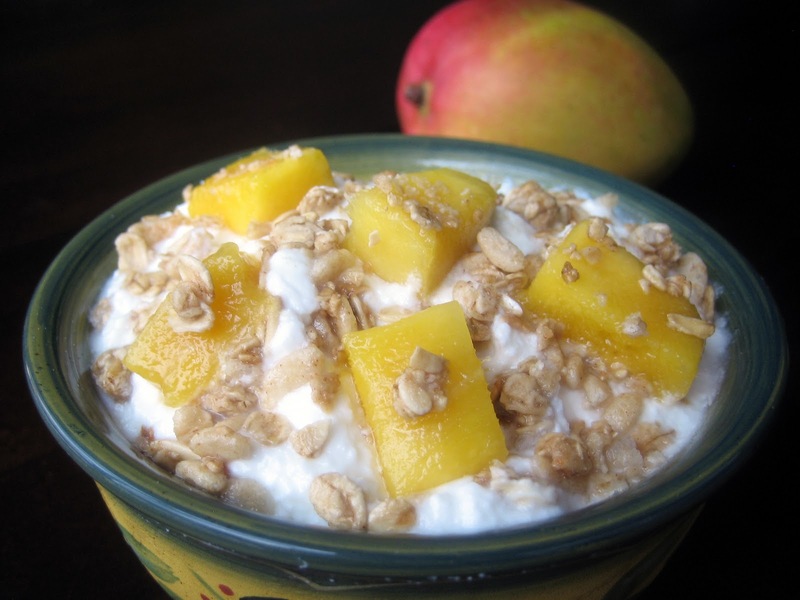 You will be sharp as a tack in the morning enjoying your yogurt creations. ::sigh:: You made me think about all the days that I walked through our kitchen and there was a towel wrapped around a big bowl in one corner of the counter so I knew my mom was making yogurt. I didn't even know it was something that could be purchased until I moved out on my own. Congrats. You done well. This is my new favorite post!! I've recently come to similar realization about my mom and my mommy aspirations. The funny thing is I have cheesecloth but no yogurt or milk--but I keep it around for that purpose for when the day comes!! I am SO doing this with the girls this weekend! They're gonna freak, especially since the churning butter thing had a weird ending. Just planting a seed: I have been dying to make my own mozzarella from scratch, and apparently it's super super easy. Plus, you have clearly mastered the warm milk + waiting = deliciousness thing. IJS. 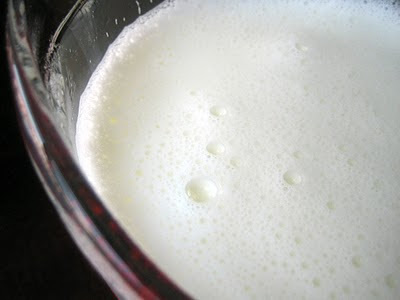 Do the same general technique with buttermilk instead of yogurt as a starter. You don't get the lactobacillus, but you do get a wonderful product. It is key that you scald the milk first since if you don't noting happens :-( I know this! Comment to Lisa. Mozzarella is very hard to make at home from scratch. But if you buy some curd from the dallas Mozararella company you can stretch it. It is a trip to do that. Woo! Coincidence....just posted a making yogurt at home recipe too. I don't know if you have heard of Shrikhand? Its an Indian yogurt based dessert to die for! I mean atleast I die everytime I have it.